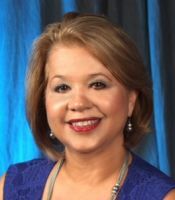 Sylvia C. DeBaca has over twenty-seven (27) years of mortgage loan origination experience. She brings her extensive knowledge and experience to her clients to ensure they have the best loan product and terms that are right for their individual needs both now and in the future. She prides herself in providing her clients with a seamless process and a smooth closing so her clients’ and their families can take possession of their dream home quickly. Whether Sylvia’s clients are first time home buyers or experienced homeowners buying their third, fourth or fifth house, she will let them know the loan type and loan amount that is realistic for their individual situations. Besides enjoying working with her clients, Sylvia and her husband of over 43 years, Richard DeBaca, enjoy spending time with their 3 children and 8 grandchildren. She also finds time to travel and belongs to several organizations including the Board of Realtors.